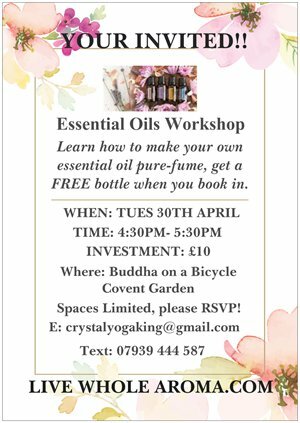 ESSENTIAL OILS WORKSHOP, D.I.Y PURE-FUME! Learn how to make your own chemical and synthetic free Pure-Fume! Receive a FREE bottle of essential oil when you book in!